Since foreign vacations aren't always doable, I am constantly looking for new and exciting places I can visit, right here in the USA. Some of my very favorite places to visit are our National Parks! They're beautiful, easy to get to, and full of information to make your trip an educational one as well. Since I love the parks and road trips so much, I decided that I would put together an itinerary all of you that covered 4 states and 5 National Parks, all in 4 days! This is a trip that you could do in more or less time - depending on how long you stayed in each destination. It would be perfect for a long weekend, not too expensive, and easily doable for anyone - no matter how busy you are! Before you head off on your road trip, be sure to take your car to your local Walmart Automotive Care Center to have the oil changed! All of these road trips are sure to pack on the miles, so be sure to ask for Pennzoil® High Mileage Vehicle® if your car has over 75k miles. It will help keep your car feeling great, mile after mile. (If you're still under that mark, be sure to ask for Pennzoil Platinum®: Full Synthetic Motor Oil with PurePlus™ Technology to keep your car running like new!) While your car is being expertly serviced, you can head into Walmart to stock up on your road trip essentials! It's a one-stop-shop for all of your road trip needs. These mountains are so unique and breathtaking! You could easily spend a week in this park, but we've got a schedule to keep. So take a drive through the park, stopping along the way to take in the view or to take a hike! - On the way to our next stop, be sure to spend the night in Jackson Hole, Wyoming! Here you can grab some dinner and snap a few pictures at their antler arches! Here you can see Old Faithful, the Hot Pots, a few waterfalls, and a lot of animals! Be sure to have your camera ready as you drive through one of the most popular parks in the world! - You'll want to head south after you've finished your day in Yellowstone and spend the night either in Wyoming, or drive all the way to Fort Collins, Colorado. The next day will be spent driving through Rocky Mountain National Park! Here you can take a hike to really take in those Colorado Rockies! - Garden of the Gods is the bonus stop along this National Park Road Trip. As you make your way to Utah, be sure to swing down through Colorado Springs and explore this free park! Its gorgeous red rock is perfect for hikers and climbers, or for those who just want to drive through! Plus, this little mountain town is full of great local eats and charming motels where you can spend the night. - As you make your way to Utah, be sure to take the road through Aspen as it's a bit less crowded, full of little towns, and epic scenery! 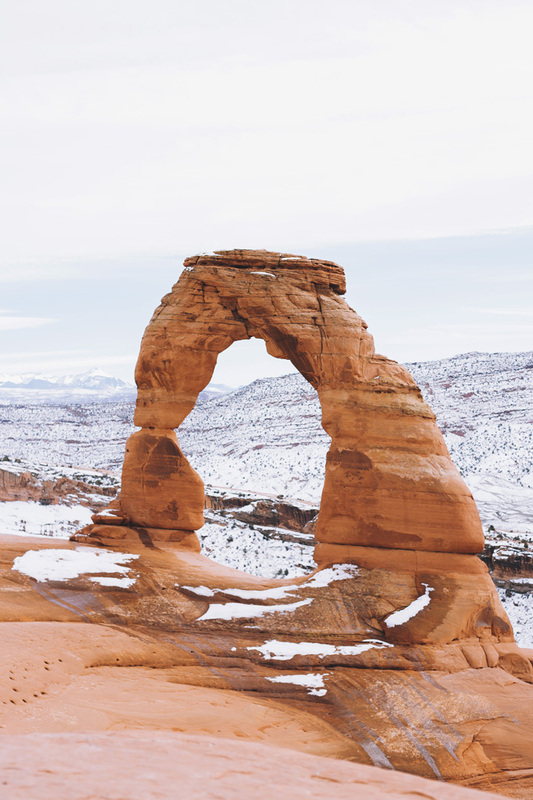 The third day will be spent in Moab, Utah as you explore another iconic park - Arches! Here you must hike to Delicate Arch. The hike isn't too long or difficult (the worst part is at the end as you come around the back side of the rocks), and almost anyone should be able to make it! This park, while not as popular as it's neighbor - Arches, is an epic stop to make on any road trip! 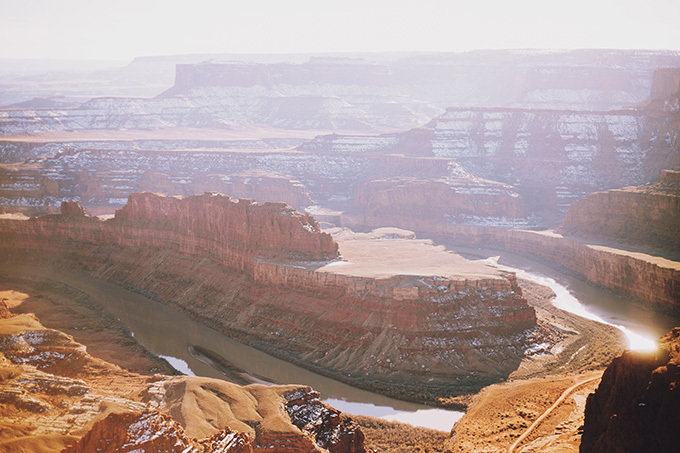 With deep canyons and an idilic western scenery, Canyonlands is one of the most beautiful yet overlooked National Parks. It's definitely worth a visit! - As you make your way up north, be sure to take in the Book Cliffs off to the west side of the highway! They'll provide a unique and stunning finish to your epic road trip. Thanks to Pennzoil® High Mileage Vehicle®, we'll all be able to make this road trip worry free! And the best part is - this oil is currently on Rollback at Walmart, so you can save $4 when you get your oil changed! Check out your local Walmart Automotive Care Center HERE. Where would you go on your next road trip? I've been working on mine and can't wait to share it with you!